So far in 2017 a number of global energy experts and commodities watchers have looked beyond the current reporting period and they see a growing long term demand for oil and gas. Chevron CEO John Watson on Monday warned that U.S. shale oil alone cannot meet the world’s growing appetite for crude oil, CNBC reported this week. “Shale can help. 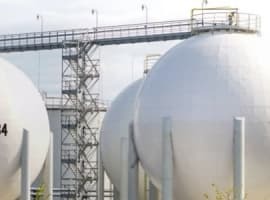 Certainly, between now and the end of the decade it will be a big contributor to meeting that million-barrels-of-oil-demand growth that’s out there,” Watson told CNBC’s “Power Lunch” on the sidelines of the Milken Global Conference in Los Angeles. “But ultimately oil fields decline, and we’re going to need all sources of supply, including the shales, but also deepwater and other sources around the world,” Watson told CNBC. Watson’s comments mirror the oil market outlook put forth in January 2017 by Jeff Currie, Global Head of Commodities Research, Goldman Sachs. Currie said his group believes U.S. shale has ushered in a new era of price volatility but that the overall demand-supply fundamentals call for a bullish outlook for oil. “It’s that scarcity premium that’s driving our positive outlook on oil and commodities, not higher prices,” Currie said. More people: big cities are going to become much bigger ‘megacities’. ExxonMobil’s EnergyFactor blog this week pointed out some facts about the world’s population that could make you wonder if there is going to be enough oil or natural gas in the world’s formations to handle the vast energy needs lurking just over the horizon—especially for the 37 largest “megacities” outlined in a new report from Demographia. The megacities are topped right now by Japan’s Tokyo-Yokohama at almost 38 million people. That’s three million more people than live in the entire country of Canada, all living in one geographic metroplex. “Twenty-five years ago there were only 10 urban areas in the world that could boast more than 10 million inhabitants. Now there are more than 35 so-called “megacities” worldwide, and by 2040 the United Nations estimates that nearly 65 percent of the world’s population will call cities home,” Exxon reported. According to Demographia’s latest World Urban Areas 13th Annual Edition, 37 urban areas provide habitat for at least 10 million people in 2016. The largest 12 metropolitan areas are home to almost 300 million people in those 12 cities alone. And they’re going to get bigger according to the report. Referencing its Outlook for Energy, Exxon predicts global energy demand will increase by 25 percent over the same period. But if up to 65 percent of the globe’s human population is living in cities by 2040, there should be screaming demand growth for electricity and transportation fuels of all kinds. In its World Energy Outlook 2016, the International Energy Agency (IEA) tops Exxon’s 25 percent demand increase, predicting instead a 30 percent rise in global energy demand by 2040. For 2016, the IEA’s Oil Market Report forecasts worldwide average demand of nearly 96 million barrels of oil and liquid fuels per day. But the agency says much higher consumption is on the horizon. - Natural gas fares best among the fossil fuels, with consumption rising by 50 percent. - Growth in oil demand slows over the projection period, but tops 103 MMBOPD by 2040. - Coal use is hit hard by environmental concerns and, after the rapid expansion of recent years, growth essentially grinds to a halt. - An increase in nuclear output is spurred mainly by deployment in China. With total demand in OECD countries on a declining path, the geography of global energy consumption continues to shift towards industrializing, urbanizing India, Southeast Asia and China, as well as parts of Africa, Latin America and the Middle East, according to the agency. China and India see the largest expansion of solar photovoltaics (PV); while by the mid-2030s developing countries in Asia consume more oil than the entire OECD. The agency believes “hundreds of millions of people are still left in 2040 without basic energy services… large swathes of the global population are set to remain without modern energy,” according to the IEA projection. That would lead to the need for further infrastructure build-out along with a lot more fuel to meet demand in developing countries after 2040. “More than half a billion people, increasingly concentrated in rural areas of subSaharan Africa, are still without access to electricity in 2040 (down from 1.2 billion today). Around 1.8 billion remain reliant on solid biomass as a cooking fuel (down by a third on today’s 2.7 billion); this means continued exposure to the smoky indoor environments that are currently linked to 3.5 million premature deaths each year,” the IEA reports. - 20 percent — $8.8 trillion – goes to renewable energies. In addition to that investment, the agency calls for an extra $23 trillion for improvements in energy efficiency. In 2000- 2015, close to 70 percent of total supply investment went to fossil fuels. The IEA projection through 2040 drops fossil fuels to 60 percent and “represents a significant reallocation of capital, especially given the expectation of continued cost declines for key renewable energy technologies,” the IEA says. 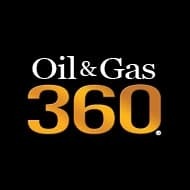 The main stimulus for upstream oil and gas investment is the decline in production from existing fields, the IEA says, confirming the sentiment frequently expressed by oil and gas company CEOs, including David Demshur, CEO of global reservoir production enhancement technology leader Core Laboratories. During a Core Lab earnings call last summer, Demshur made some predictions based on his company’s eight decades of studying global oil reservoirs. “Core believes that worldwide crude oil supply and demand markets are close to balancing and will balance this second half of 2016. On the crude oil supply side, U.S. unconventional production peaked at 5.5 million barrels of oil per day in March of 2015, and has since fallen by over a million barrels a day owing to high decline curve rates associated with these tight oil reservoirs. “Offsetting these sharp production declines have been additions of approximately 160,000 barrels a day from several deep water Gulf of Mexico legacy projects that were commissioned several years ago and started to bear fruit in late 2015/2016. These additions in no way will offset what’s coming from the deductions that will occur on land throughout this year and into 2017. “The sharp declines from U.S. land production are continuing in 2016, and Core believes these decreases could reach 1.1 million barrels of oil per day or more by year end. Lower levels of new wells and delayed production maintenance will exacerbate the fall in U.S. land production going into 2016/2017. Remember, production decline curves are linear in time but logarithmic in production declines. “A year ago, month-over-month, the U.S. production declines were in the tens of thousands of barrels per day, per month. Now these month-over-month per day losses quite often reach 100,000 barrels of oil per day or more. So look for that to expand and continue to expand into late 2016 and into 2017. From these analyses, we would take the over on the drop of 1.1 million barrels per day by year-end,” Core said on the call last July. 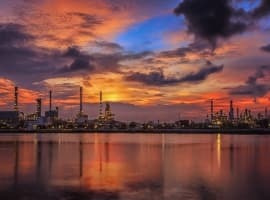 The projected growth of global population and the demand for energy from the industrializing countries and their megacities, along with the oil and gas decline curves, the world could be looking at a decades-long growth cycle for E&P. “When commodity demand is above commodity supply, deficits result, inventories are drawn down and scarcity premiums begin to arise—and that’s what’s driving our bullish expectations,” Goldman’s Global Head of Commodities Research Jeff Currie said. How Much Further Could Oil Prices Fall?